A Hollywood love story, a Hollywood memoir, a (dual) Hollywood biography -- the woman who stole the heart of King Kong, and the man, Robert Riskin, one of the greatest screenwriters of all time, an Academy Award winner, producer, and longtime collaborator with Frank Capra on eight pictures. By their daughter, an acclaimed writer and producer. King Kong elevated Fay Wray to the tip of the Empire State Building and the heights of cinematic immortality; she starred in more than one hundred and twenty pictures, with such co-stars as Gary Cooper, Spencer Tracy and William Powell. 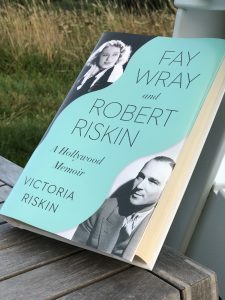 Robert Riskin, Wray's husband, was one of Hollywood's seminal screenwriters, originator of the "screwball comedy" and the true populist voice of the "little guy" that gave the movies he did with Frank Capra the "Capra touch"; Riskin's sophisticated stage plays and screen comedies of Hollywood's classic era became famous for their blend of humor and romance, wisecracking and idealism. Winner of the Academy Award for It Happened One Night and nominated for four other Oscars, Riskin was a producer and longtime collaborator with Capra on such pictures as The Miracle Woman, Platinum Blonde, American Madness, Mr. Deeds Goes to Town, Lost Horizon, You Can't Take It with You, and Meet John Doe. 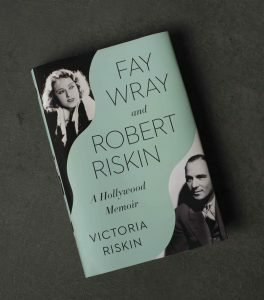 Their daughter, Victoria Riskin, a former president of the Writers Guild of America West, tells the story of their lives, their work, their Hollywood, and their fairy-tale marriage.